The kid looks like he's from 1987. Hey, can you give this to Optimus for me? Don't worry pal, we've all thought about it. The amazing thing is that you got closer than any other man. Im all out of love, I bought this rose for youuuuuu! Poor kid... I'm glad he got to meet her in the end. aww... I feel pity in the poor kid! 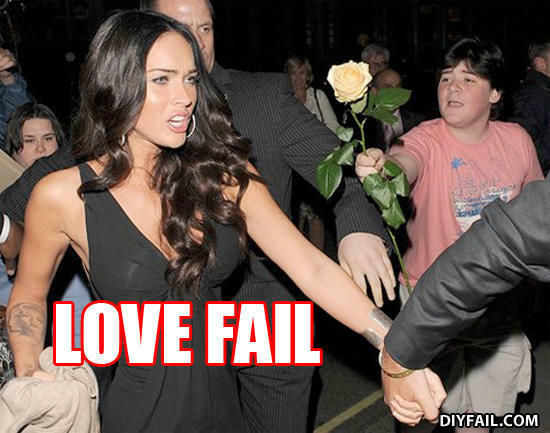 This is almost rejection overload!